The Law Offices of Tanya K. Streit, P.C. provides business formation services carefully tailored to the specific needs of your business. Tanya represents small Texas businesses in the Austin, Texas area and throughout Travis and Williamson Counties. Tanya provides business representation from business planning prior to business formation, through business formation. Tanya can help you select a business entity that will meet your immediate needs at the start-up stage and over the long-term. Our Austin area law firm is here to help you avoid legal roadblocks and costly contract disputes. Our Austin area business law clients seek us out because we are committed to preventing disruption by anticipating problems before they occur. Our goal is to help you to avoid future legal pitfalls, including costly litigation, which can interfere with the seamless operation of your business. Effective legal representation of your business means anticipating potential compliance, liability and litigation issues before they arise and providing solutions rooted in your business structure, sound legal advice and strategic legal planning. The business entity you choose will have far reaching implications and can significantly impact the operation and future success of your business. As an experienced, Austin area business start-up attorney, Tanya will analyze your situation and review key issues, including tax issues, structure of management and decision making authority and long-term risk exposure, along with other relevant issues. Starting a new business in Texas requires a comprehensive understanding of the big picture, foresight and anticipation of the future, as well as the ability to navigate a large number of details and potential litigation issues. A start-up business in Texas needs corporate by-laws for corporate governance, and other related business formation documents. Our Austin area business law firm can help you establish the legal framework for your commercial operations. Every new enterprise needs competent legal and accounting counsel. Our Austin area business law firm recognizes that litigation is neither desirable for a business nor completely avoidable. We work diligently to prepare agreements that protect our clients’ interests and provide clarity and specificity in order to reduce the probability of costly litigation. Tanya provides personalized service with attention to detail for our Texas business clients. The most effective approach to customizing our legal advice and business experience to your business is with a solid understanding of your company objectives, as well as your business philosophy and approach. The Law Office of Tanya K. Streit, P.C. is dedicated to providing high quality legal services to assist you with the success of your business. 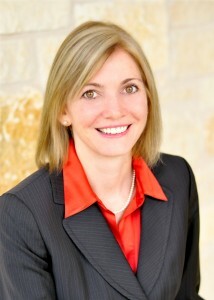 Tanya provides business formation services throughout Travis County and Williamson County. We offer an initial free business consultation so that we can assess your business needs and evaluate the best way to help you meet your business objectives. Call today at (512) 637-1310.